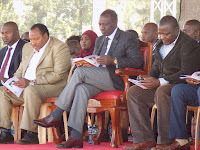 Saturday April 13, 2019-President Uhuru Kenyatta has reportedly ordered the withdrawal of security of Kiambu Governor, Ferdinand Waititu, Kikuyu MP, Kimani Ichungwa and Kandara MP, Alice Wahome. 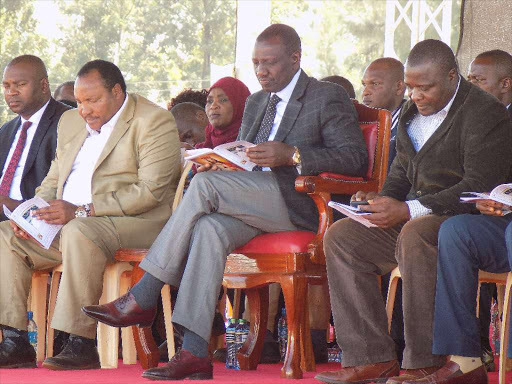 According to impeccable sources, Uhuru is angry with the three leaders for campaigning for Deputy President William Ruto’s presidential bid in 2022 instead of developing their areas. Ichung'wa confirmed his security withdrawal, adding that he had not been told the reasons. “Ask them what they want to do with my family while I am away. They are being told its orders from above in the PS’s office," said the MP who is out of the country on official duty. He directed his woes to the doorstep of Interior PS Karanja KIbicho. Waititu also confirmed his security was withdrawn although no explanation was offered. Insiders aware of the latest development said the President is unhappy with the conduct of the three who have continuously engaged in premature 2022 campaigns. The leaders complaining of withdrawn security have been accompanying the DP on his countrywide engagements, publicly rebuking the work of the investigating and prosecuting agencies and pledging their undivided support for his 2022 presidential ambition.